CLOSEOUTS. 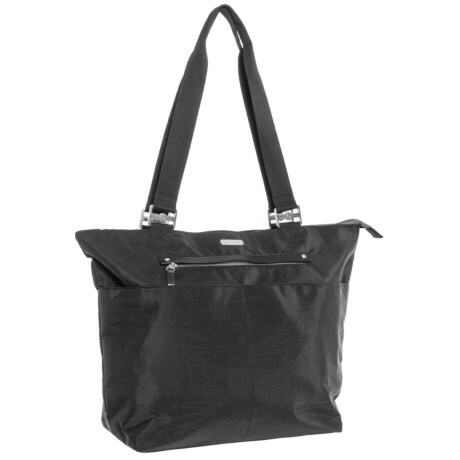 Functional and fashionable, this baggallini all-around tote bag can be carried as a large purse or used for full day outings, offering stylish simplicity with an interior zip pocket and three card slots. Available Colors: BLACK/SAND LINING.